According to the American Heart Association, survival rates for sudden cardiac arrest can be improved by up to 49% when using an automated external defibrillator (AED) within a minute of onset. 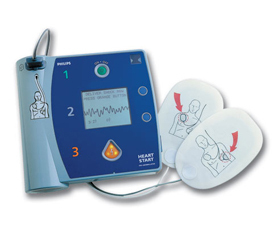 AEDs use an electrical shock to re-establish a normal rhythm to the heart. 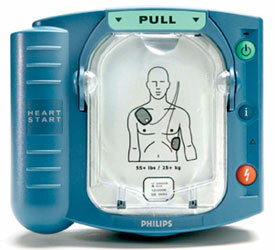 Although defibrillators are easy to use, prior training is recommended. OnSite CPR training will instruct you in the proper use of AED devices. We’ll also teach you to recognize signs and symptoms of heart attacks. 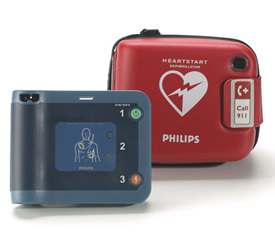 We also offer for purchase Philips HeartStart AED devices for your family or organization. We’ll recommend and train you on the right unit for your home, office, school or building.